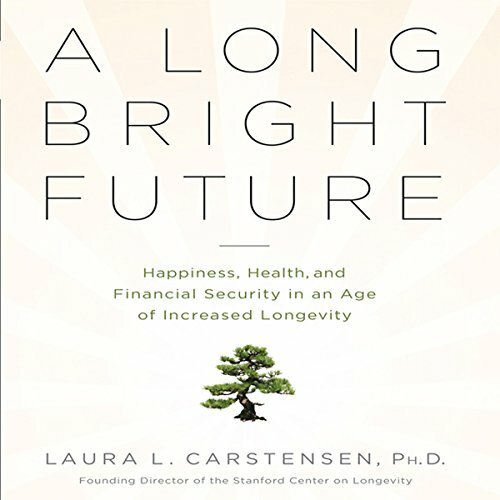 Showing results by author "Laura L. Carstensen, Ph.D"
By: Laura L. Carstensen, Ph.D.
What are we going to do with those 20 or 30 years we didn’t expect? Due to unfounded fears of unhappiness and regret, many intelligent, otherwise rational people, even into their 40s and 50s, are so convinced that old age is a time of misery that they simply deny any other outcome and refuse to plan their own destiny. This optimistic and highly informative guide to smart aging will detail for listeners the steps they need to take to ensure that long life becomes synonymous with good life.